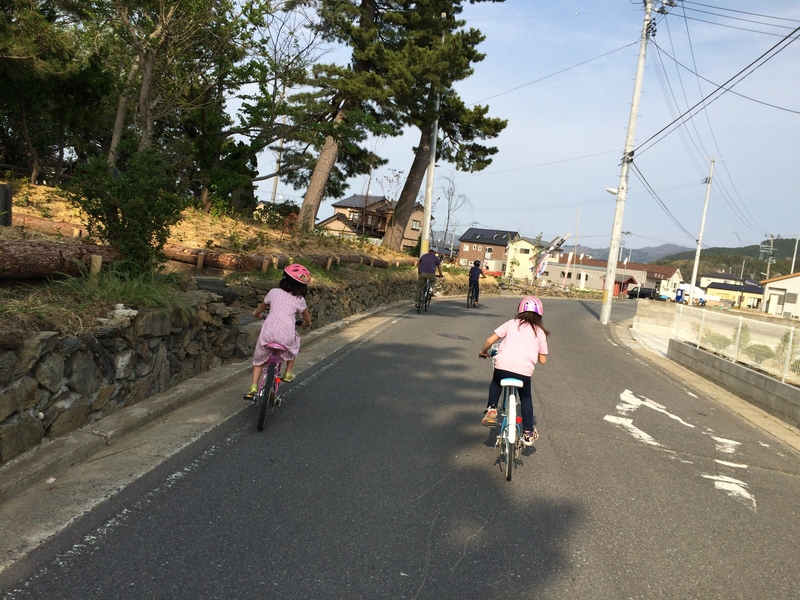 Today was beautiful weather so we decided to take a family bike ride. We all biked over (Ian on the back of my bike, if you are wondering!) to a nearby family restaurant, and then we biked along the coast. 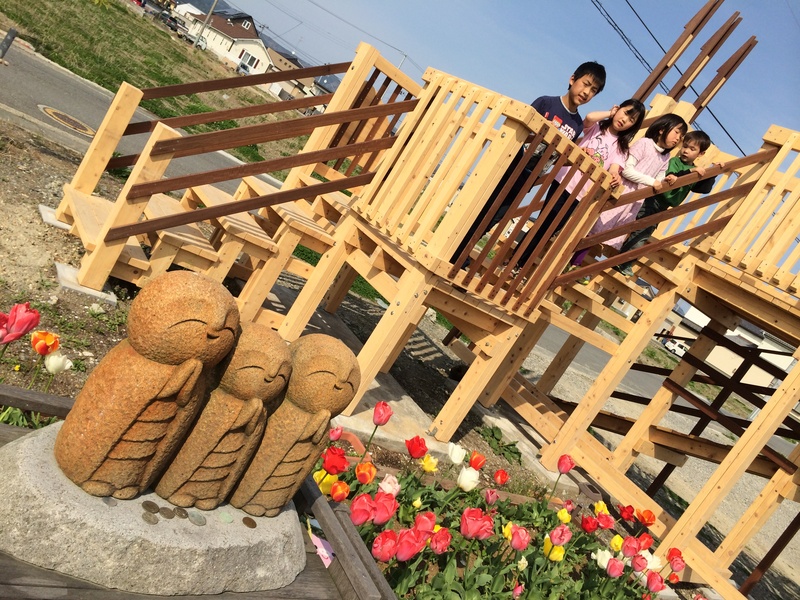 We wanted to head over to a playset that was built recently for the third anniversary of the tsunami by a friend of Be One, Mr. E. He had also helped to make some of the furniture for the park that Be One rebuilt last year. We were so surprised to find him there today, and we spent the next hour or more sitting and talking with him. Mr. E is a pretty amazing man. He and his wife lost all three of their children in their tsunami. This is pain and grief that I cannot humanly imagine. 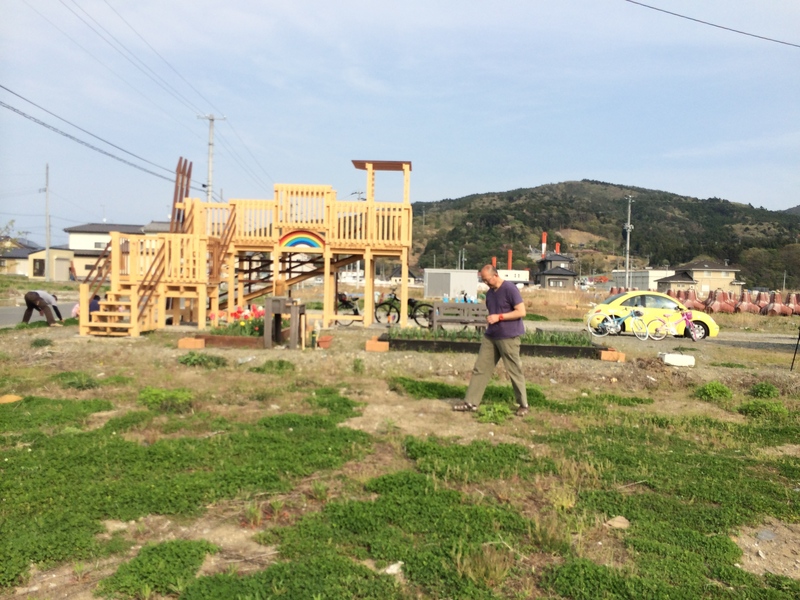 On the place where their house had been washed away, Mr. E., a carpenter by trade, has built a play-set. He wanted to create a fun place for children where so much sorrow had landed. The ocean is just 100 yards away. The whole area used to be a thriving neighborhood. Now, he said, only four residents are living in this neighborhood. He sat with us and pointed to the empty plots all around us. The land right next door had been the home of a seaweed farmer. He was out in his boat when the tsunami came. 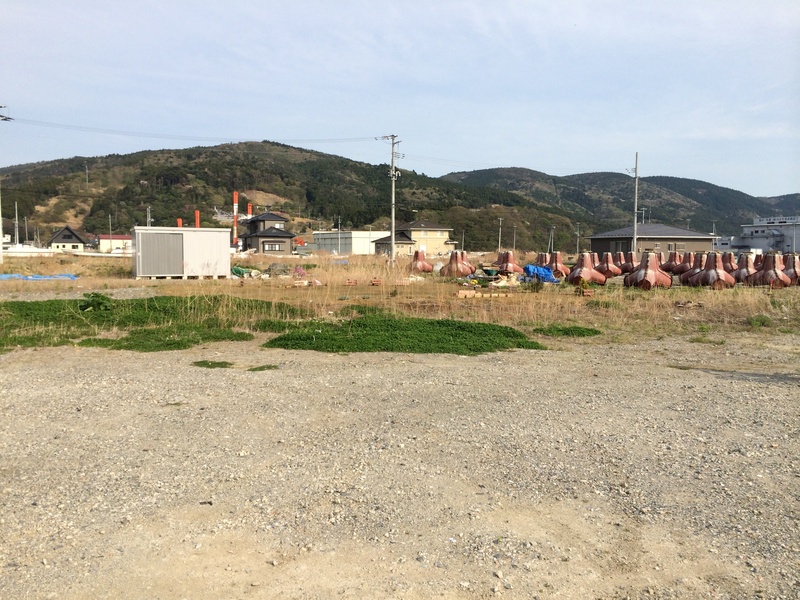 The boat was able to roll over the tsunami. The husband survived, and when he finally came back to shore and to where their home had been. He searched and searched, but found that his home and the rest of his family had been washed away. Three years later he is still unable to return to this location, but his sister comes frequently and leaves flowers in the yard in memory of the lost family members. Across the street was a tofu shop. 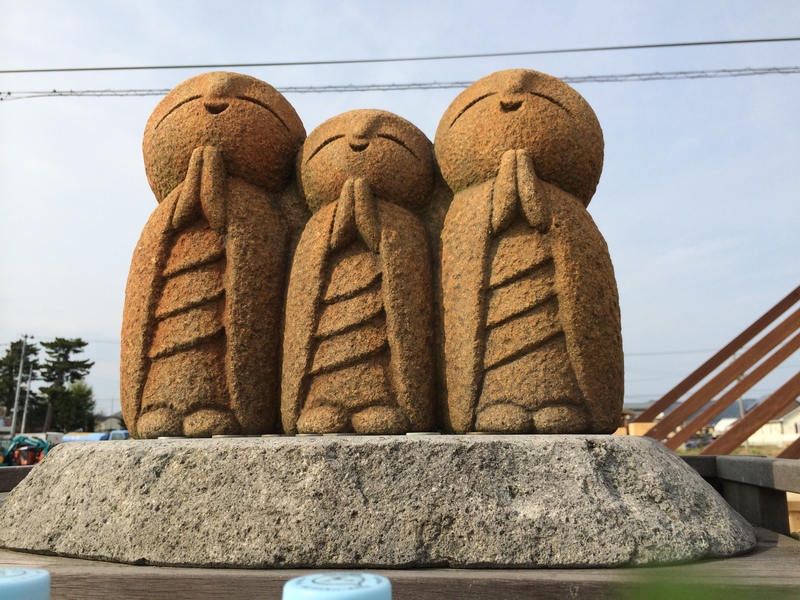 The daughters and the parents were killed in the tsunami. I asked about his wife. She isn’t working right now. I wonder how she has strength for each day. I told him that I hope we can get together with them both soon. He brought out from the trailer drinks for all of our kids. 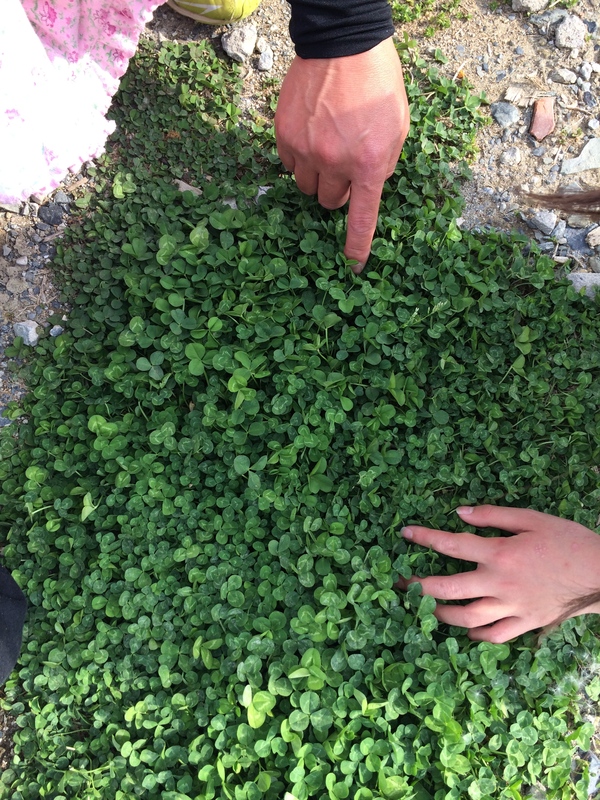 Then he led them over to a small tuft of wild clovers, and told them that he’s found a few four leaf clovers there. 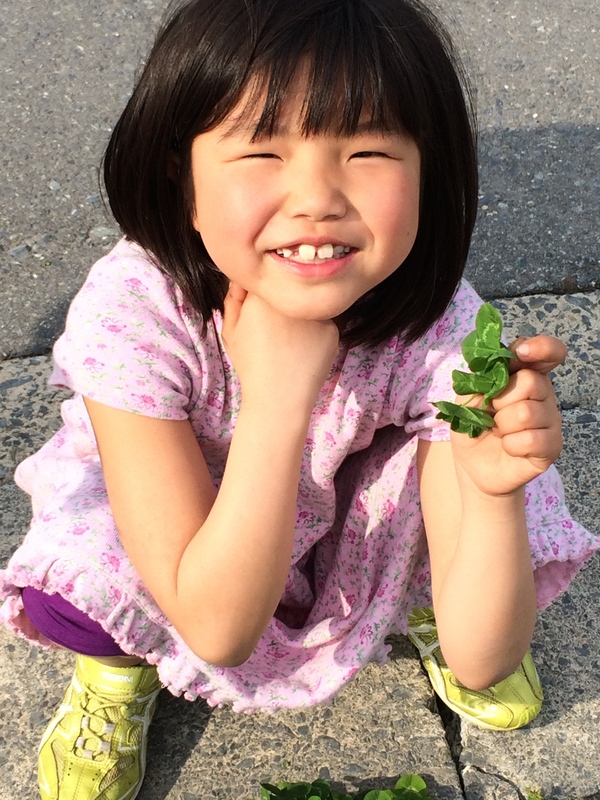 Olivia found four or five, and Owen found two five-leaf clovers! 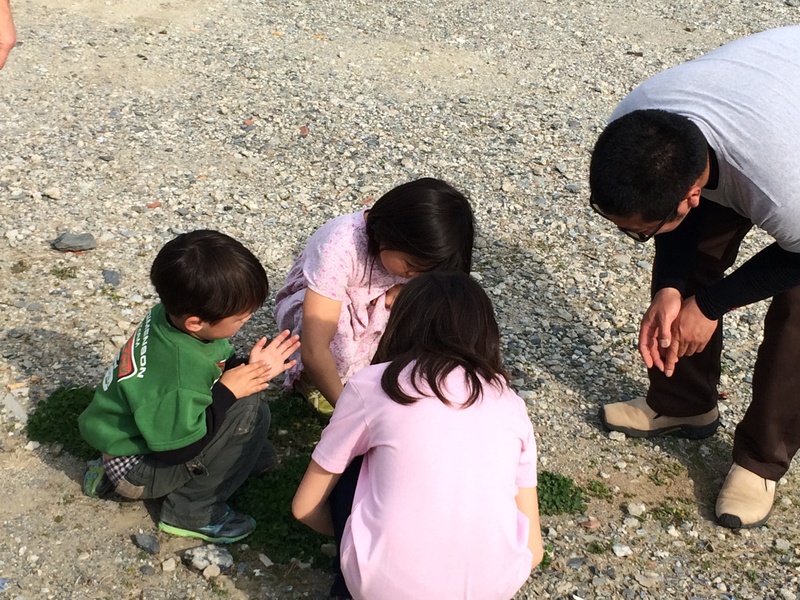 He gave each of our children some small wooden keychains that he has made from tsunami debris. I watched Mr. E. as he so gently interacted with our children. There was only kindness. He must have been such an awesome dad. How beautiful. Made me cry.